Contrary to popular belief, the people smugglers who bring migrants from sub-Saharan Africa to Europe aren’t generally part of vast, organised, "Mafia-like" networks. More often than not, they act as “independent traders" in an extremely competitive field, according to a study on the business of illegal border crossings by the University of Cambridge. Gone is the image of an organised crime baron, reigning over a vast network of people eager to do his bidding. As it turns out, most people smugglers who operate along the migration route stretching between the Horn of Africa and Europe (via Libya) are, for the most part, small independent operators. These findings were part of a study conducted by University of Cambridge’s Institute of Criminology which were published on January 22. "This is a far cry from how Mafia-like organisations operate, and a major departure from media reports claiming that shadowy kingpins monopolise certain routes," writes Professor Paolo Campana, author of the study. To come to this conclusion, the researcher examined evidence gathered during an 18-month investigation by Italian prosecutors after the 2013 Lampedusa shipwreck, in which 366 people - mostly Eritreans and Somali - lost their lives. Campana analysed data from wiretapped telephone conversations between smugglers and traffickers, migrant testimonies, interviews with police task force members, and background information on offenders. In total, 292 non-migrant actors were identified as part of the smuggling ring in Lampedusa. 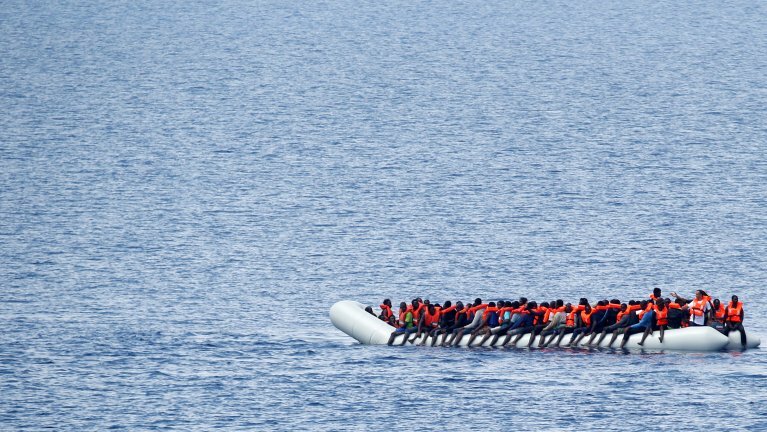 95 percent of them were male smugglers operating on the main route between the Horn of Africa and Scandinavia, via Libya and Italy. "Organisers make up some 15 percent of the smuggling network and the remaining 85 percent occupy a lower ranking aide position," said Campana. "There is little contact between fellow organizers, reinforcing the impression of smugglers as free-trading independents. Business opportunities tear coordination apart," he said. The migration route is extremely segmented and each part is controlled by different smugglers. The wiretapped conversations and migrant testimonies examined as part of this study indicate that migrants have to pay at each new stage of their journey. Money is often paid upfront using Hawala, a trust-based informal money transfer system that allows people to send money internationally without an IBAN number, a receipt or, ultimately, any trace. During one wiretapped conversation, a couple is charged $3,600 to cross the Mediterranean. In another conversation, a smuggler charges €150 per person for a car trip from Sicily to Rome. Smugglers depend on one thing, Campana says. Word of mouth travels quickly amongst migrants and would-be migrants, so smugglers work hard to preserve their image. "Reputation is crucial in a competitive market, and the wiretaps show how much value smugglers place on their reputation," says Campana. He adds that some smugglers, afraid of losing business, decided to pay compensation to the families of migrants killed during the Lampedusa disaster. Instead of using up precious resources to destroy networks that can be rebuilt at the drop of a hat, Campana suggests another strategy. "Authorities may want to deliberately tarnish the reputation of smugglers in order to shut down their business," suggests Campana. He urges the governments of countries located along the migration route to put coordinated strategies in place for an appropriate legal response. According to Europol, the law enforcement agency of the European Union, turnover from people smuggling was worth about $6 billion in 2015. In 2016, that number dropped by a third after an agreement was signed between the European Union and Turkey to limit the arrival of migrants in Europe.